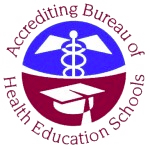 In-School Payment Plans - Florida Institute of Ultrasound, Inc. This option may be used to make monthly tuition payments. Students make the initial $1,500 deposit upon acceptance into the program and the remainder of the tuition is to be paid in full by the fifth month of school. The student may choose to make up to five payments. There is no interest charged on in-school payment plans.